Lyon College seeks a dynamic individual to serve as Staff Writer. As part of the marketing and communications team, the Staff Writer is a primary driver in helping to tell the story of Lyon and is responsible for a range of written materials that help strengthen the college’s core narratives. Written materials produced by the Staff Writer will be used in a range of outlets including promotional materials, alumni magazine, website, and other college communication sources. Successful applicants will have strong backgrounds writing for a variety of audiences, be proficient in AP style, and demonstrate strong copyediting and proofreading skills. A bachelor’s degree in journalism, English, history, or a related field is required as well as a minimum of three years’ experience as a journalist at a daily newspaper or as a copy editor with an integrated marketing and communications firm. Lyon College is a private, selective liberal arts college affiliated with the Presbyterian Church (U.S.A.). It is located in Batesville, Arkansas, a safe and historic town of 10,000 that serves as commercial, medical, social, and governmental hub for an eight-county area. The College currently enrolls almost 700 undergraduate students from 24 states and 15 foreign countries. Entering freshmen have an average high school GPA of 3.5 and an average ACT composite of 24 and SAT score of 1117. 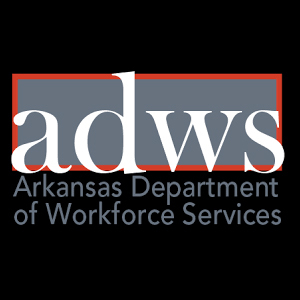 Interested candidates should send a cover letter, resume, and the names, addresses, and phone numbers of three references to Mr. Donald R. Taylor, Director of Human Resources, 2300 Highland Road, Batesville, AR 72501 or electronically to jobs@lyon.edu with “Staff Writer” in the subject line. Review of applications will begin immediately and continue until the position is filled. To learn more about Lyon College go to lyon.edu.